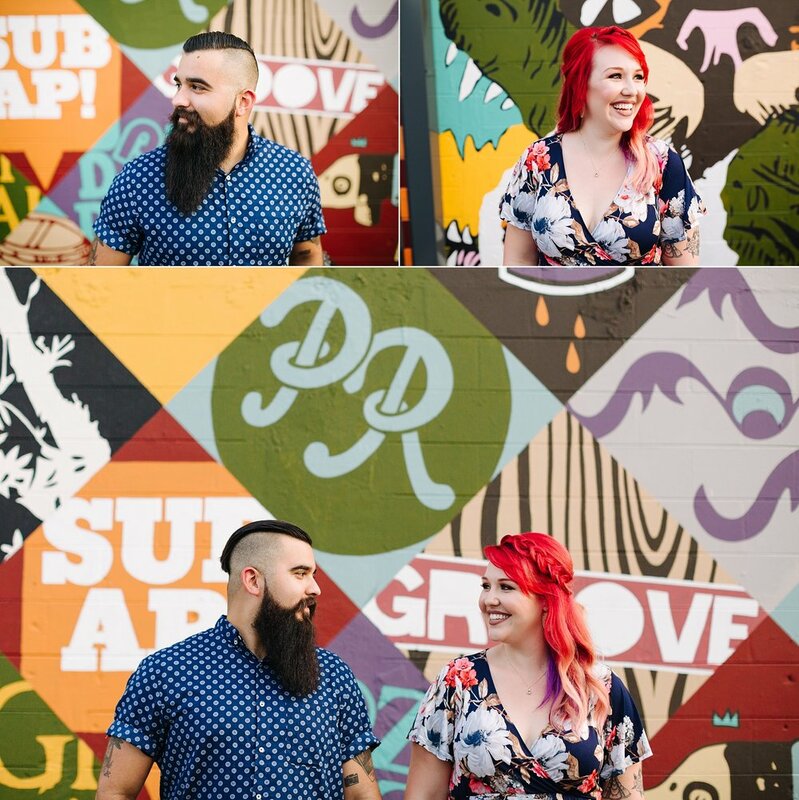 We have had the awesome pleasure of getting to know Leo & Brittany over the past few years. They are also a husband & wife team here in Tampa. These two definitely know how to have a good time and their love & laughter is contagious. They have been married for 3 years and be sure to scroll down to read about how they met and reconnected... so great! How did you meet? We met in church Dec 2008, we were both in relationships with other people, but had immediate chemistry. Leo was practicing guitar in the youth room when I walked in and noticed his Maylene and the Sons of Disaster t-shirt, which was on of my favorite bands at the time. He played me a riff from the song and I couldn't help but smile! Fast forward to 2011, we were both single and reconnected over Words with Friends! (Yes, so random!) For our first date, Leo took me to see MayLene and the Sons of disaster, I couldn't believe he remembered! Then we headed to the beach to sit and talk, I knew from that moment on that he was the one. January 26, 2012 he told me that he loved he, and 1 year later January 13, 2013 he proposed. We were married just 5 months later June 14, 2013. Leo as explained by Brittany: Leo is an old soul in a 25 year old body. He has a HUGE heart and a sweet spirit! I love that he is truly my best friend, he can seriously make me laugh until I’m in tears! In our 3 years of marriage we have dealt with so much personally, but it brought us closer than imaginable. I feel like God created Leo for me, in every way possible - Love you to the moon and back BAE! Describe an ideal day with your family: An ideal day for us wouldbe a day spent traveling and exploring! We absolutely love exploring new sights and cities with each other. It’s an opportunity for us to reset our creative perspectives and see something out of the ordinary while learning about a place other than home. Leo & Brittany, you guys are awesome. Thanks for letting us capture these photos and hang out with you for a while!